Attributes of booking a 2 BHK Flat in Dombivli Under Construction projects. Buying a property especially for our family needs is not an easy task a lot goes behind in making one of the most crucial and important decisions of life. Right from understanding the exact needs and requirements of each of our family members to selecting the developer who is genuine and authentic in his offerings and overall dealings; every intricate and vital detail needs to be taken care of in a dedicated manner. 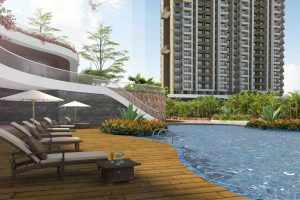 Also, we are constantly in a dilemma to go for a 1 BHK or a 2 BHK apartment and there is always a constraint of a budget in this specific case. It is always advisable to go for a 2 BHK if you have an additional budget in hand and are able to stretch a bit for some period of time as it serves as a long term purpose considering the growing family and their individual needs. Plus buying a 2 BHK flat means a bigger area with more space in the kitchen, living room, and an additional washroom making our life quite easy and convenient. Yet another attribute of buying a 2 BHK instead of a 1 BHK is that if the location is viable of appreciation in the future and meets our expectations, we can spend the major years of our life in that one apartment as the location has an appreciation value plus all the infrastructural facilities are in the close proximity to our home. And 2 BHK Flats in Dombivli New Construction and 2 BHK Flats in Dombivli East Near Station fits the bill of the above discussed theory. Regency Anantam by Regency Group offers spacious and luxurious 2 BHK Flats in Dombivali East in close proximity to the station and host of other social and civic infrastructure facilities in the city.